Will You Have to Fund Your Own Live-In Care? If you’re considering live-in care for yourself or for a much loved relative, you probably have one question flashing like a big neon light above your head – can you afford it? It’s a very relevant question and one you will need to do a fair bit of research on before you can answer. You will need to know the potential costs associated with live-in care in your area and, if you still want to go ahead with it, learn what funding options are available to pay for it. Will you be eligible for any Local Authority help, for instance? Live-in care costs can vary significantly depending on your location and the sort of help you may need. 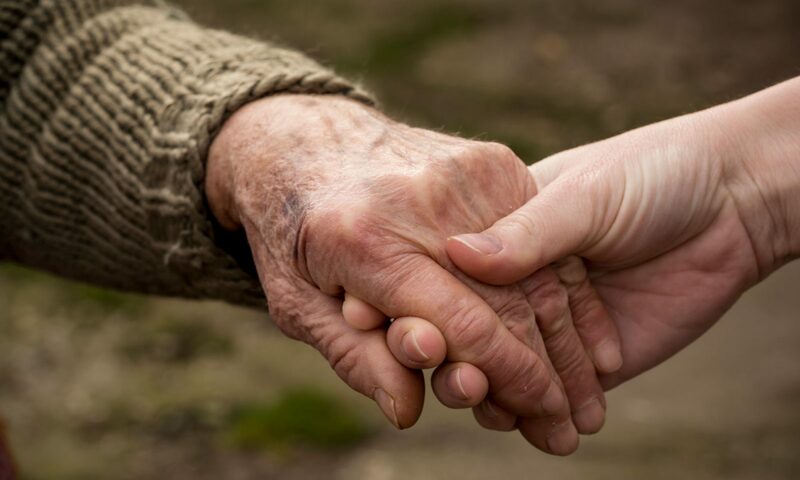 Reputable providers of live-in care will offer transparency around their costs and what they cover, but this will usually be dependent on the needs of your loved one, and whether they require specially trained carers, i.e., if they have conditions such as Alzheimer’s or Parkinson’s. See our article on Live-In Care Agencies and Providers for key questions to ask when checking out costs. Live-in care doesn’t come cheap, though it may prove more cost effective for couples who can hire one carer to look after them both in their home. Don’t forget, however, that you will still have the costs of your home to pay for, such as utility bills and property maintenance, so if you want to compare live-in costs to residential care you should also consider this. Either way, live-in care is a long-term and substantial cost that you will have to plan for. You should consider the length of time you may require care, how often (will relatives also be involved in the care, for instance) and what you may do if circumstances change in the future. One of the best recommendations we can give is to seek tailored advice for your particular situation, both from your Local Authority and from an independent financial advisor who specialises in care funding advice. So, Will You Have to Fund Your Own Care? Here’s one of the first questions that crops up whenever anyone thinks of paying for care: Will I have to pay for it myself? In the UK, social care isn’t free at the point of need like medical care. It is means tested, meaning that you may have to pay some or all of the cost depending on your wealth (income, assets). Your first step when considering paying for care should be to apply to the Local Authority (social services department) for a care and support needs assessment. The Local Authority has a duty to carry out this assessment, which looks at the level of care needed by you or your relative, what the care package should be and where is the most appropriate place to receive that care (home or in a residential setting). They will consider your situation and judge it against the Eligibility Criteria set out under the Care Act 2014. All Local Authorities must assess people for potential care via the Eligibility Criteria. Anyone who meets this criterion should get help from the Local Authority. In essence, this criterion examines whether a person’s needs come from physical or mental impairment or illness, making them unable to achieve two or more specific ‘outcomes’ (see below). If so, does being unable to meet these outcomes have a significant impact on their wellbeing? Is the person in need able to prepare and eat food and drink? Can they maintain personal hygiene, able to wash themselves and their clothes? Can they manage their toilet needs? Can they dress themselves appropriately for the weather? Are they able to move around their home safely and access it from outside? Can they keep the home clean and safe? Are they able to maintain family relationships and friendships to avoid isolation? Can they access, physically and mentally, work, training, volunteering or education? Can they care for anyone who is their responsibility, i.e., a child? Can they safely use services and facilities in the local community, including public transport? If someone cannot meet two or more of the above as a result of illness or physical/ mental impairment AND it has a significant impact on their life, they are considered eligible for Local Authority care. The Local Authority then has a duty to find or provide the services they need. Now, just because you qualify under the Eligibility Criteria doesn’t mean your care will be free. That will depend on your means test. The Local Authority cannot refuse you care because of money, however, though they can choose the most cost-effective solution, which may not be live-in care. The means test is where your Local Authority will assess your ability to pay for your care. Here’s the bad news. If you or your loved one has combined assets worth more than £23,250 (England/ Northern Ireland); £26,500 in Scotland or £24,000 in Wales, you are unlikely to receive any funding for your care. [i] The good news is that the value of your home is not included in this means test assessment if you are considering care at home. Assets considered include bank/ building society accounts, savings, premium bonds, stocks, shares, pension income, and property and land if relevant. Any joint savings will usually be divided in two (or by how many people own them). Note that your Local Authority may still ask you to part pay for care if you are below these thresholds. Note too that in England, for instance, local authorities are not likely to pay for care at home if it costs more than it would be to enter a care home. If you or your relative does not qualify for funded or part-funded care by the Local Authority, you may still be able to get funding via another little known route, Continuing Health Care (England, Wales, and Northern Ireland only). This is available to someone who needs live-in care because of certain health conditions, such as disability or complex medical problems. (In Scotland, a similar care arrangement is called the Hospital Based Complex Clinical Care). Many people don’t know about this so it is useful to check if you or your loved one may be eligible. In essence, when a person’s primary need is a ‘health need’, it is the NHS’ duty to provide and fully fund their care, whether it is in a hospice, care home or your own home. The NHS can either arrange care for you or you can receive funding for that care via a personal health budget, which gives you more control over how to plan and pay for your care. *Personal health budgets are only available in England. So might your loved one be eligible for Continuing Health Care? Here’s the rub: the only real way to know if someone is eligible is to ask a GP or social worker to arrange an assessment. That’s because there is no clear cut list of illness or health conditions that qualify. They could, however, include: Mobility problems; long-term medical issues; mental or physical disability; terminal illness; health that is deteriorating rapidly; cognitive or behavioural disorders. A word of warning: The eligibility requirements for Continuing Health Care are quite strict; being frail and in need of some general help isn’t enough to count, but don’t let that stop you from getting an assessment. There are lots of grey areas within Continuing Health Care and it is worth seeing if you could qualify in some other way and save yourself thousands of pounds. In addition to the above, it’s also a good idea to check that you are claiming all of the state and other benefits that you are entitled to, particularly if you have care needs. Some of these benefits are not means tested. You may, for instance, be eligible for Personal Independence Payment if you need help getting around or personal care. This may offer some income towards care fees. Other potential benefits include attendance care, pension and pension credit, council tax discounts and exemptions, and more.